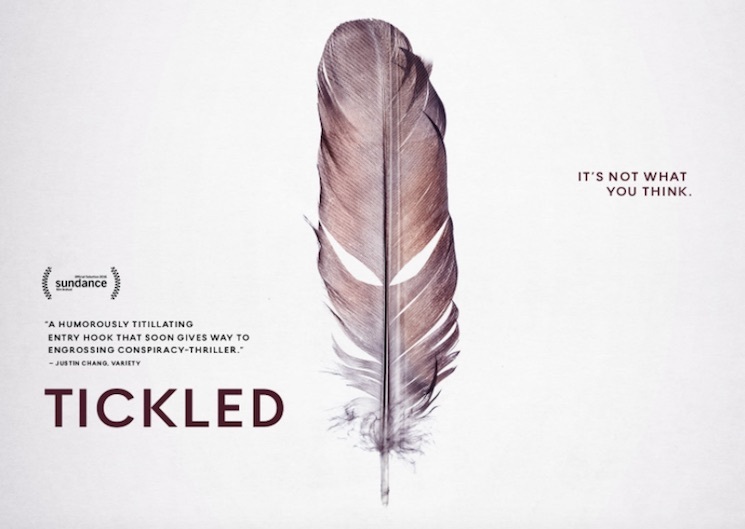 One of the most peculiar documentaries in recent memory, Tickled follows the bizarre underbelly of an online tickling fetish ring. Eventually, David D'Amato emerges as something of a "villain" in the film. But adding a whole new layer of weird to the whole thing, D'Amato suddenly passed away on March 13 at the age of 55. His cause of death is unknown. Directors David Farrier and Dylan Reeve may not have had the most cordial relationship with D'Amato in the film, but they've made sure to emphasize that they take no pleasure in his passing. The two released a lengthy statement to detail their sadness at D'Amato's death. As showcased in the follow-up short The Tickle King, D'Amato actually appeared at a Los Angeles screening of Tickled, where he argued with the directors in the post-screening Q&A. "We met a man who came out swinging, so to speak – threatening more lawsuits, while at the same time commenting that he enjoyed certain elements of the film," Farrier and Reeve said. "It seems to us that underneath it all, he did have a certain sense of humour." While making Tickled we always thought it was important to portray David D'Amato not just as an online bully, but as a person. That is why the closing minutes of Tickled are so important to us – an insight into D'Amato, the person. Ultimately we'll never know all the things that made David the man he was. Like all of us, he was complex and complicated. So we ask you to keep in mind that while David appears to have lived a fairly solitary life, he did have friends and family members. We ask that in comments online, and out there in the real world, you treat this information, and this man's passing, with respect. Reed Farrier and Reeve's full statement here. You can also read David D'Amato's obituary here.